A lot of people are wondering right now, what’s Xiaomi’s next flagship device Mi5? How Mi5 will be and when will it arrive? For those we have got some great news, another recent leak has revealed a lot more about Xiaomi Mi5, including the specs and the time when it will be launched. The Xiaomi Mi5 has been code-named as Libra, and it will sport a 5.3-inch display with a 1440 x 2560 resolution resulting in a pixel density of 554ppi. The Xiaomi Mi5 will be powered by a Snapdragon 820 SoC, coupled with 4GB of RAM. There will be two variants at first, 16GB/64GB of internal memory, however we can expect another having 32GB of memory. We see no hope of an expandable storage, as Xiaomi is strictly against the microSD usage in their smartphones. 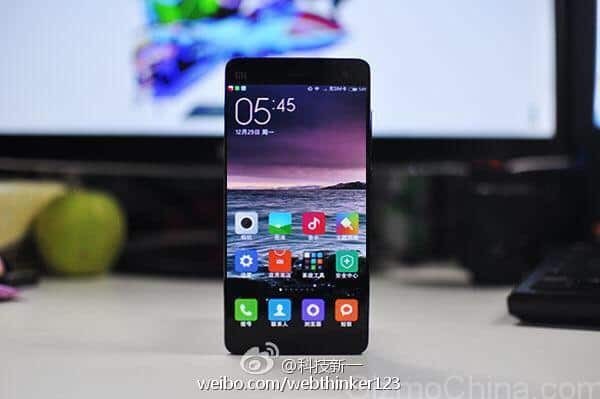 The Xiaomi Mi5 is expected to sport a16MP rear camera and a 6MP front snapper for selfies and video calling. The power will be backed up by a 3030mAh battery inside, and the Xiaomi Mi5 will run Android 5.1.1 out of the box, with of course MiUI on top. A fingerprint scanner is rumored to be included with the Mi5. According to the report, the Xiaomi Mi 5 will be released in November, so the report from the month of May is probably right as it also indicated that Mi5 will arrive in November sporting the Snapdragon 820 SoC, and featuring a fingerprint scanner. That’s all we know right now about Xiaomi’s next flagship device, the Xiaomi Mi5. Pricing, availability and other details are unknown for the moment. But don’t worry, you can get them all on the move by joining us on Facebook, just visit our official page on Facebook and hit ‘Like’, then just relax and enjoy all the latest tech stories on the go! !